NIOSH has developed new tools to help employers identify and assess areas of dampness and mold in schools and other buildings. The agency’s new Dampness and Mold Assessment Tool, which guides users through assessing all rooms in a building, provides a checklist and instructions for assessing and recording any damage related to dampness or mold and for tracking conditions through time. According to NIOSH, causes of moisture and dampness problems in office buildings, schools, and other nonindustrial buildings may include roof and window leaks, high indoor humidity, and flooding events. Health effects associated with exposure to building dampness and mold include respiratory symptoms, development or worsening of asthma, respiratory infections, bronchitis, and eczema. 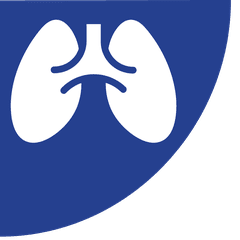 “Implementing regular visual inspections for dampness can help to identify trouble areas before they become major problems and help to prioritize maintenance and repair,” said David Weissman, MD, director of NIOSH’s Respiratory Health Division. “The Dampness and Mold Assessment Tools provide an inexpensive mechanism to investigate, record, and compare conditions over time.” Separate tools for general buildings and schools are available from NIOSH’s website. For additional information on respiratory disease related to indoor dampness and recommendations for preventing and remediating damp buildings, see the NIOSH Alert (PDF).